Being a welder by trade, I am most passionate about welded metal sculpture, creating unique, realistic sculpture pieces using just a welder and grinder. I also work in the technique of repousse and chasing as well as artistic metal enameling. I work in steel, copper, silicon bronze and pewter. Formerly known as A Copper Rose Metal Art. October 2014: I am discontinuing my old logo and heading toward a more appropriate professionally creative atmosphere. ﻿ Due to these changes there will still be photos of my work with the "A Copper Rose Metal Art" watermark, as well as some with "Debra Montgomery Fine Metal Sculpture." All images of my work are property of me, Debra Montgomery and you must request permission to use them. Until all the changes are complete, either website URL will work. Look for some new work through this next year!! 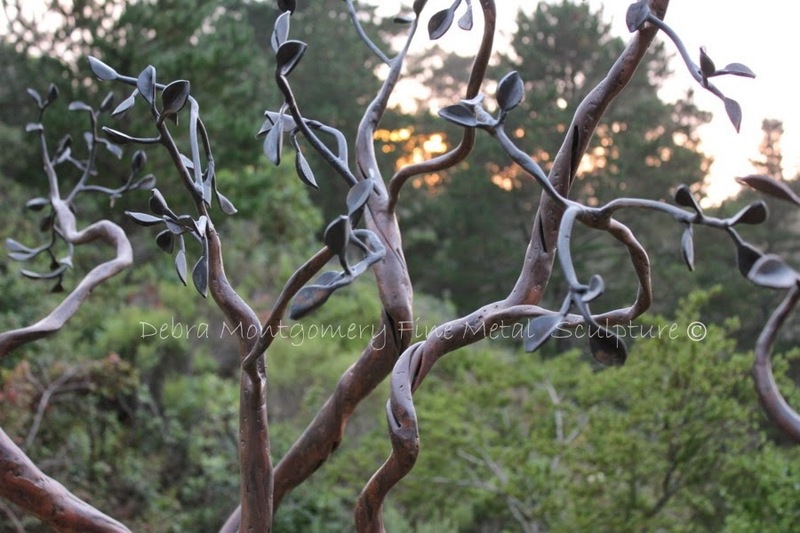 All Images Property Of © Debra Montgomery Fine Metal Sculpture. Simple theme. Theme images by gaffera. Powered by Blogger.